In the mood for good (Korean) food? 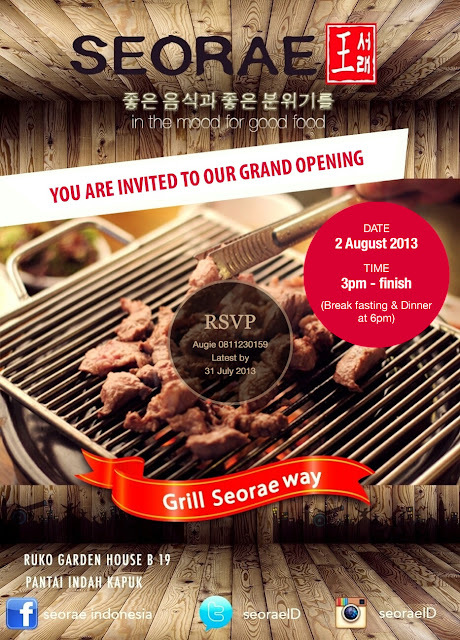 Seorae Korean Grill restaurant is having a grand opening on 2 August 2013. The newly refurbished seaside resort of Alila Manggis in beautiful East Bali has launched 'Summer Cooking' offering guests the chance to sample a wealth of complimentary experiences at its acclaimed cooking school. Guests who stay a minimum of three nights between now and 30 September 2013 will have the chance to enjoy a free half-day food experience, from baking Jaje Lak Lak Balinese cakes to concocting Jamu health drinks in the resort’s organic garden. Enjoying and learning to cook these signature Balinese dishes doesn’t end with your holiday though. Alila Manggis recently launched a cookbook titled “Cooking My Way Through East Bali”, featuring Chef Nyoman’s signature dishes, in an easy to follow step by step format. Guests can purchase the cookbook and enjoy making their favorite dishes at home, from Bumbu Bali (a Balinese spice) to Ikan Kare Dan Udang (Fish and Prawn Curry). Nestled by the sea along the Balinese east coast with the sacred Mount Agung as backdrop, Alila Manggis with its coconut grove, pounding waves and newly refurbished rooms, makes for a refreshing summer escape. 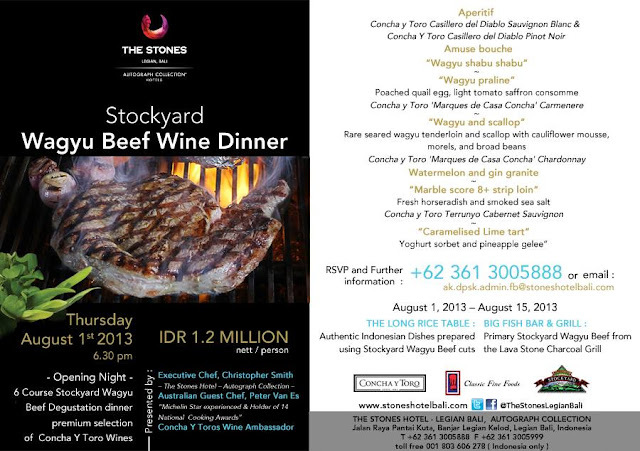 The complimentary culinary experiences are valid for a minimum stay of three consecutive nights between 1 June and 30 September 2013. One culinary experience applies per reservation for maximum two persons per room. Room rates start from USD 170++ per night based on two sharing. The “Cooking My Way Through East Bali” cookbook can be purchased at Alila Manggis for USD 20++. Alila Villas represent Alila’s new generation of ultra-luxurious yet sustainable developments in some of the most spectacular locations offering an unprecedented level of private space, design and architecture, personalized hospitality and destination experiences that set it apart. Designed by award-winning teams of architects, interior designers and artisans, an Alila Villas project is the only brand that is designed, built and operated to EarthCheck standards - integrating the natural, physical & cultural elements of its environment.